Caring, Openness, Honesty and Respect guide our daily activities both in the homes and in the organisation. These values are our compass in all that we do. 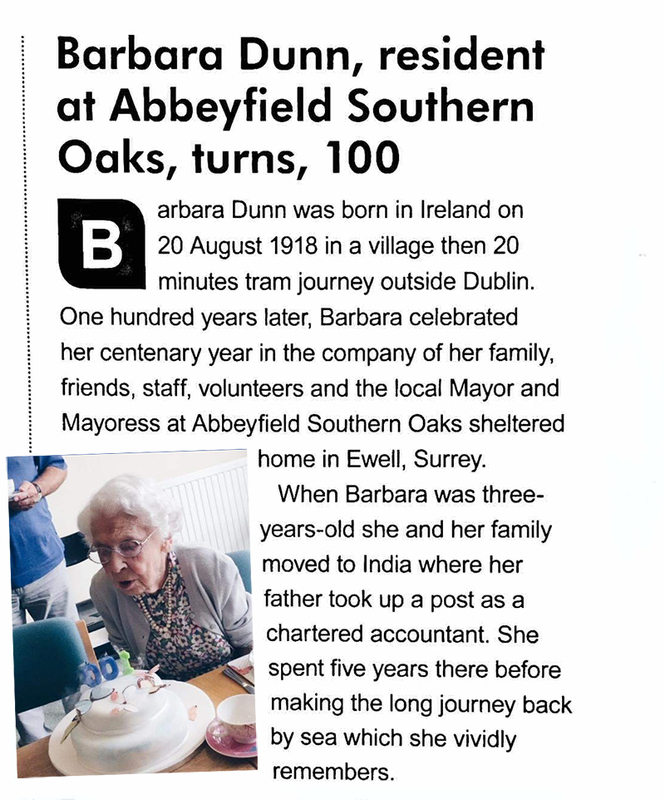 Abbeyfield Southern Oaks is firmly rooted in the local community. The residents are suported in maintaining their connections with local churches, clubs and activities. 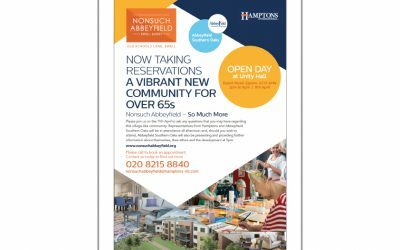 We offer supported housing at four houses and we are developing independent living with extra care in a new development, Nonsuch Abbeyfield, which combines the freedom of your own home with the support and facilities fit for 21st century independent living. Abbeyfield was founded by Richard Carr-Gomm in 1956. Having served in the Royal Berkshire Regiment and the Coldstream Guards for 16 years, he resigned to volunteer as home help having observed the deep need for companionship amongst many people he was in contact with. That was a random act of kindness which lead to the foundation of our charity. There are now over 700 houses providing supported housing and independent living with extra care. The effects of loneliness are well documented. It is a state of mind most people find incredibly difficult to deal with and undermines their health and well-being in many ways. 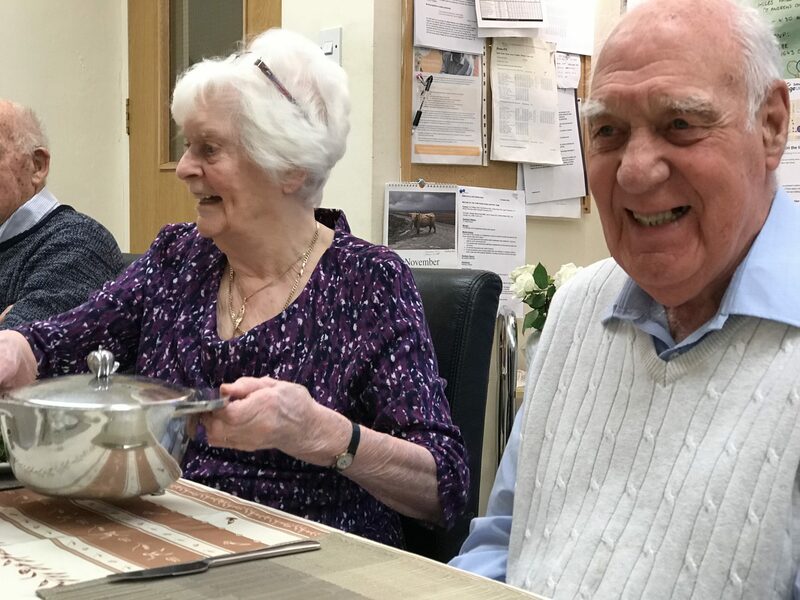 At Abbeyfield Southern Oaks we are dedicated to providing a kind and caring environment where older people can enjoy social interaction and maintain their independence. We rely on the kindness of many in our wider community to provide a safe and welcoming community. We celebrate the birthdays and anniversaries of our residents. Our residents love to keep in touch and value access to a computer for emails and for learning new things. Our residents love jigsaw puzzles. The more challenging the better! Games and books are also very welcome. If you are a local business and are willing to make a donation or raise funds for us, please contact us to discuss. If you are an individual who would like to make a donation, please contact us to discuss. We have a wonderful band of volunteers and we are always looking for people who have a few hours a week to spend with our residents. Can you teach simple computer skills? Can you help with craft projects? Can you play the piano at a birthday party? Do you have an hour or two to take someone to the shops? If you can, please contact us. We are looking for a local sponsor for our garden at Nonsuch Abbeyfield. If you are interested and willing to help us build a sensory garden full of places to sit and enjoy nature, then please contact us. Supported housing is for people who are still able to care for themselves and wish to remain independent. They most likely do not want the responsibilities of maintaining a house or flat or a garden but they are not ready to go into a care home. They may also like extra support for things like meals, cleaning and most of all they would like the company of others if they wish. Our supported housing offers that extra help: someone around to offer a bit of security in case they fall or feel unwell. Supported housing is not for people who need more dedicated care. Supported housing is offered at The Old House, Purley Knoll, York Road and Mulgrave Road. Each of our houses has a House Manager and house team who manage a safe, homely environment for the residents. Residents each have a small kitchenette so that they can make their own breakfast at a time to suit and prepare drinks and snacks. The house team prepare two meals a day and organise activities together with our volunteers. Some services are available and can be arranged from visiting professionals (all DBS checked). Our new facilities at Nonsuch Abbeyfield (opening late 2019) will offer much greater support for different degrees of independence. We understand that people want to stay in their ‘own home’ for as long as possible and Nonsuch will offer a wider range of services so that people can stay independent for longer. There is a mix of leasehold and rented apartments which are arranged around a community hub. You can see much more about the services on the Nonsuch Abbeyfield website. We offer supported housing for older people who are still independent and need a little extra support to remain so. We invite you to take part in our four step process in shaping your new lifestyle with us. Complete our application form which you can review here. Come for lunch and meet the other residents. You will get a sense of the company and ‘test’ the food. Ask them what it is like to live in an Abbeyfield house. Ask them about their day, what difference it has made to their lives and what activities they look forward to. As you reveiw all the information you may decide that a short stay with us would be really helpful to your decision-making process. We are happy to discuss this with you and make arrangements as appropriate. for an informal conversation using the form below. Supported housing is for people who are still able to care for themselves and wish to remain independent. They most likely do not want the responsibilities of maintaining a house or flat or a garden but they are not ready to go into a care home. They may also like extra support for things like meals, cleaning and most of all they would like the company of others if they wish. Our supported housing offers that extra help: someone around to offer a bit of security in case they fall or feel unwell. Supported housing is not for people who need more dedicated care. Supported housing is offered at The Old House, Purley Knoll, York Road and Mulgrave Road. What is 'independent living with extra care'? Our new facilities at Nonsuch Abbeyfield will offer much greater support for different degrees of independence. We understand that people want to stay in their 'own home' for as long as possible and Nonsuch will offer a wider range of services so that people can stay independent for longer. There is a mix of leasehold and rented apartments which are arranged around a community hub. You can see much more about the services on the Nonsuch Abbeyfield website. Is it possible to stay for a while to see if I like it? Yes! So often people are very reluctant to give up their own home and it takes time to adjust to the idea. We support potential residents and their families in helping with that transition. Staying with us is often the good experience that helps with the decision to become a permanent resident. 1. A viewing of available rooms at the houses. 2. An invitation to lunch to meet the other residents. 3. Completion of our application form to ensure we are a good fit for each other. If you decide to proceed to the next stage, we can arrange a short stay. 4. If all goes well, we agree a date when you can move in. 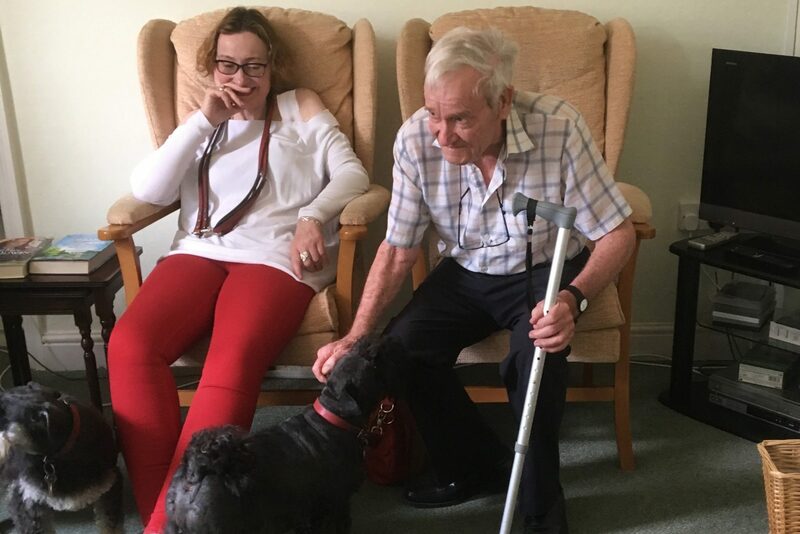 We do understand how important pets are to older people and we welcome visiting dogs at with their owners. Sadly, we are unable to cater for resident dogs or pets at the houses. Pets will be very welcome at the new development, Nonsuch Abbeyfield. How often can residents have guests? As often as they like. Friends and family can join residents for lunch or supper (a little notice is required). In summer the gardens are a glorious place to meet with friends over a cup of tea or a gin and tonic. Is it possible to have a microwave? Yes. Each room has a small kitchenette for the preparation of breakfast, drinks and snacks. Residents make their own breakfast which means they are free to choose their own time according to their personal routine. What happens if I need an operation and some time recuperating? If you need in-hospital medical treatment and you require extra help for a period, then we work with you and your family or sponsor to make arrangements for that extra care. We do not have facilities for full-time nursing over an extended period. Each house has a chiropodist and a hairdresser who visit regularly. Some residents like help with cleaning their own room. All the external people who provide services in the houses are DBS checked and insured. How much is the rent and charges? The rental varies from house to house and room to room. There are a small number of rooms which are not en-suite and they attract a lower rental. There is a one-off charge which includes rent, services charges for maintaining and repairing the house, staff costs, 2 home-cooked meals each day, cleaning and care of the common parts, utilities and council tax. Residents cater for their own breakfast and drinks and each room has a small kitchenette. The only extra charge would be for your own phone line and for any additional care needs. For a full breakdown, please contact us. How often is the rental increased? A rent review takes place annually in March and is effective from 1 April in each year. However, if a resident joins the community part way through the year then their rent will not be reviewed until the following year's review. For example, if you join us in June 2019 then your rent will not be reviewed until 1 April 2021. What kind of activities are available to residents? There are so many activities organised both for and by the residents. It is an essential part of what we do to support social interaction to maintain good health, physically, emotionally and spiritually. 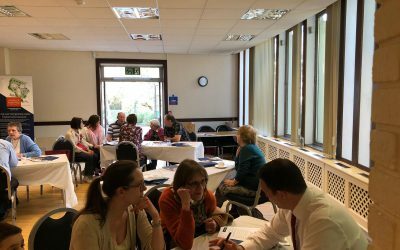 Residents have frequent gatherings over coffee and tea, there are exercise classes, games and crafts, volunteers are regular visitors to help with new skills or assist with projects. 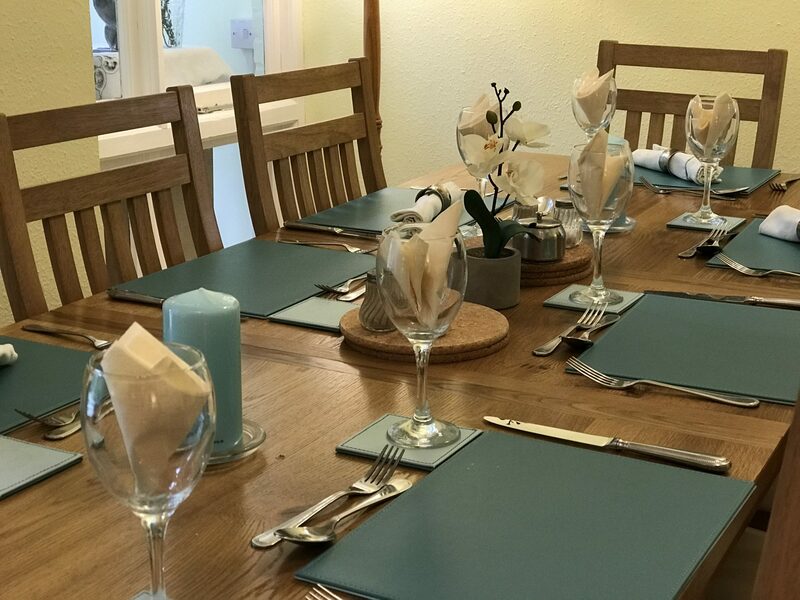 There are frequent visits to other Abbeyfield homes, trips out to the coast or other places of interest, birthday parties, entertainers, the list goes on and we are always looking for new ideas to keep our lively residents on their toes. How much interaction is there with the other houses? There is already a good deal of interaction with other houses and this will become more frequent when the facilities at Nonsuch Abbeyfield are commissioned. Nonsuch is designed as a community hub with a full range of rooms and services including a cinema with comfortable seats, a spa, hairdresser, spaces for musical and craft activities and a restaurant. There is on-site parking at The Old House, Purley Knoll and Mulgrave Road and additional on-street parking at no charge. Purley Knoll also has pay and display. York House has on-street parking. Can residents invite guests for meals? Yes they can. We encourage residents to stay in touch with friends and family. Joining for lunch or supper is a very good way of sharing their life with friends. We ask for a little advance notice so we can make sure we cater for everyone! Occasional newsletters with updates on vacancies, events and opportunities to support us. Success! You have joined our mailing list and will receive occasional emails about Abbeyfield Southern Oaks houses and developments. Abbeyfield Southern Oaks is a not-for profit charity. We are both affiliated to The Abbeyfield Society and independent.